What are the key questions to ask when creating a brand identity? Are you a new start-up company looking to create a brand, or an established company that is redefining your brand? As a business owner your brand identity is one of the biggest challenges you will experience. Brand identity is key when planning your brand strategy. While your brand identity does include your logo and brand name, it goes much deeper and wider than that. Other aspects of your brand are colours, personality, culture and tone of voice. You also need to consider your brand’s online and offline identities. 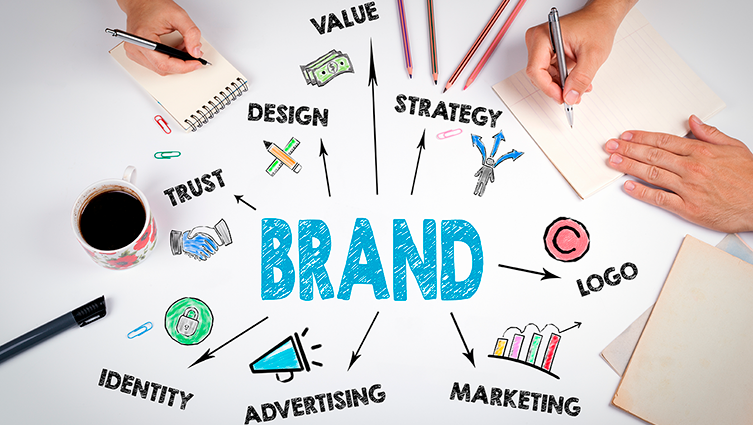 Brand identity is a crucial factor for a successful business. It is how your business stands out from the competition. It is how your customers recognise you. Here are some questions to ask to help you when creating a brand identity. 1. Which five words best describe your business? This may seem a little bit weird at first! Write down five adjectives that best describe your business. This exercise gives you a clear understanding of your brand. It will help you to brief designers, developers and copywriters. It will help when it comes to creating your logo, brochures and website. 2. Who are your audience and what do you know about them? Identifying and understanding your audience is crucial to running a successful business. It is particularly important when it comes to creating a brand identity. After all these are the people who you want your brand to appeal to. Take time to create customer personas that represent your most valuable customers. Once that has been done tailor your brand message to each customer type. 3. What is your brand message? What is the most important element of branding? Ensuring that is consistent across all touchpoints and all marketing channels. From your website to social media, from phone calls to your brochure, your brand message and tone of voice must be consistent. The best way to ensure this is to create a tone of voice document before any design, development or creative is started. This ensures that everyone involved understands the brand message and brand tone. It ensures that it is reflected throughout. 4. Which brands do you like and why? Take a little time to think about the brands that you like, consider why you like them and how they make you feel. Similarly, think about the brands that you don’t like and why you don’t like them. Understanding how other brands make you feel will help you to create a brand identity that does exactly what you want it to. 5. What would make my brand stand out? This one is particularly important if you are operating in an overcrowded market. You need to stand out from the competition and get in front of your target audience. To understand how you could be different it is important to research your competitors. See what they are doing. This will help you identify any gaps that you may be able to fill with your branding. Blackberry Design produce eye-catching creative branding. We help you to communicate your message and brand values to your target audience. Get in touch on 01527 517309 or fill in our contact form.